The Golden Globes ceremony is never without surprise, suspense and heart-breaking speeches. This year’s Cecil B. DeMille Award went to Meryl Streep, and her acceptance speech echoed through the Beverly Hilton Hotel. Some might have found this statement a bit harsh, while others cheered and agreed with Meryl. According to Ruth Negga, Meryl Streep was definitely one of the highlights of the awards. And surely, her words made a lot of people think about their future. But what is in their future, exactly? Let’s consult the cards and draw one for Meryl, one for America and one for Trump. 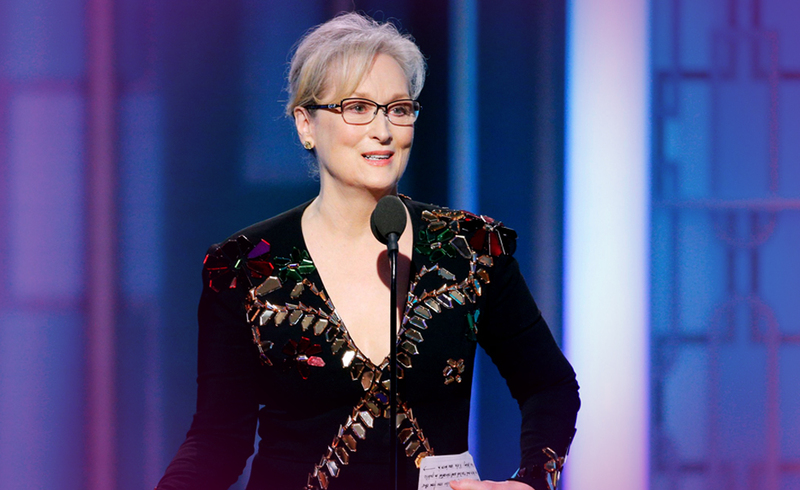 Will Meryl’s speech have any after-effect? Justice for Meryl Streep: Meryl drew Justice, which represents her strong sense of justice. She is the type, who can’t stand the thought of misjustice, and she would do anything to prevent it. And she has every chance to succeed, especially if she is willing to fight till the end. Justice will be served, provided that her motives are clear. The Tower for America: The Tower isn’t necessarily bad. It can mean that something bad already happened, and we need to accept that it wasn’t our fault and move on. On the other hand, the ground is still shaking, and further damage can be caused. Citizens of America are in the merit of their circumstances, and only time will tell whether that tower will fall. The Queen of Wands for Donald Trump: Although faced with controversy, Trump is a strong leader. This card indicates that he sticks to his vision, and he isn’t afraid to demonstrate his power. He is bold, courageous, confident and optimistic. He wants to achieve something, to be remembered by his great deeds. There is still a long way to go, but he definitely won’t lose sight of his goals. The downside of this is that he cannot be easily persuaded to change even the slightest details. Previous ArticleWill Toyota shares rebound following Donald Trump tweet?Next Article‘Carp Diem!’ says owner of Donald Trump Fish Restaurant.